Pawn your A. Lange & Söhne Watch- Instant Loans on Your Watch! If you’re wondering ‘how can I pawn my A. Lange & Söhne watch in London?’, then here at New Bond Street Pawnbrokers we can help. With our expert knowledge, we can offer loans on A. Lange & Söhne watches at our shop in London, and help you release your capital. A. Lange & Söhne has a rich and deep heritage with the luxury watchmaker’s origins stretching back to 1845 in Saxony, Germany. Their reputation grew among the wealthy upper echelons and, in the second world war, were even commissioned to manufacture oversized wristwatches for the German airmen. However, defeat in 1945 led to the invading Soviets nationalising the successful watchmaker. Following the reunification of Germany in 1990, the watchmaker was restored to its original quality. The company’s unique design, coupled with its enduring history, has built a distinctive name. These watches are designed in the unique Glashütte exterior design, which boasts a unique take on the Swiss-style. Typically, most watches use quartz movements for their internal clock. 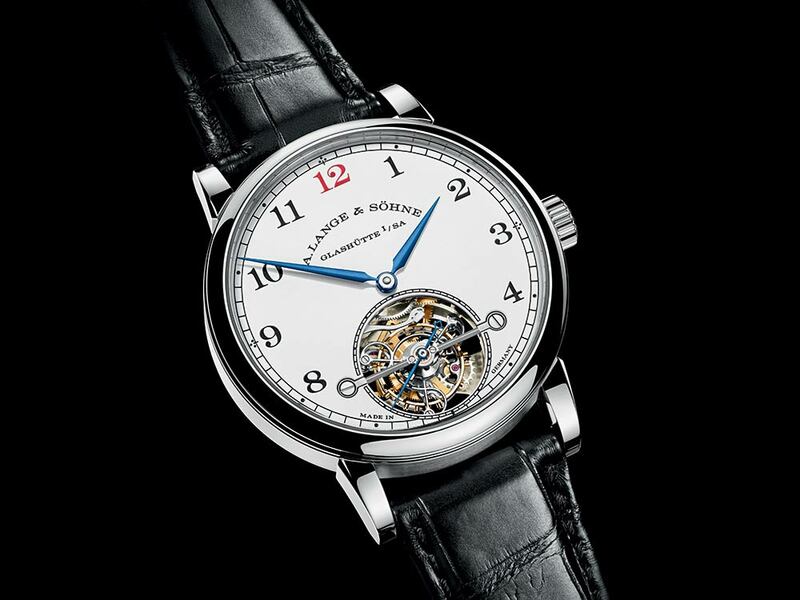 However, A. Lange & Söhne developed their own unique mechanical movement for keeping the watch’s rhythm. Gold and platinum plating creates a beautiful aesthetic, making these watches extremely desirable and suitable for use as investments or collateral. What determines the loans on A. Lange & Söhne watches? Over the years, A. Lange & Söhne has created many different watches, each with an individual set of characteristics. From luxury wristwatches to older, bejewelled pocket watches, every piece of A. Lange & Söhne is a piece of craftsmanship. Therefore, the price of your A. Lange & Söhne may differ from seemingly identical pieces. But to give you an idea of how much your A. Lange & Söhne watch might sell for, in 2007 a 1904 pocket watch, crafted from 18K pink gold, sold at Christie’s auction house for $950,000 (£741,000). Another notable example was at the Phillips Geneva auction house in 2018, where a 1815 model sold for $852,525 (£665,000). Keeping in mind four characteristics, listed below, will allow you to get the most accurate price for your watch. The combined external and internal conditions of your watch will determine its overall evaluation. If watches are perceived to be in a quality close to the original, this will naturally increase the evaluation price. Apart from the obvious external condition, the most effective way of judging the entire condition of your A. Lange & Söhne watch is to bring it into our pawnbroker, where our fine watch experts can give it a thorough examination. Older models are more sought-after due to their backstories and rarity. These watches have survived some of the most turbulent times in European history. Some have even been seen in the hands and on the wrists of notable historical figures. The Tsar of Russia, Alexander II commissioned A. Lange & Söhne especially to craft a perfect chronometer, for which the Tsar was extremely grateful. The German autocracy also rubbed shoulders with the notable watchmaker: Kaiser Wilhelm II gave the watches to diplomats and influential hosts as gifts. With a history like this, the age and the era of your model can play an important role in its value. Provenance is the documented history of the watch. An original bill of sale, original box, servicing papers, or other official paperwork will also determine the overall value of loans on A. Lange & Söhne watches. Collateral of your watch will be greatly affected by the depth and breadth of the provenance you can provide us. At New Bond Street Pawnbrokers, our experienced evaluators bring these four factors together to give you the best valuation of your watch and, consequently, the optimum loans on A. Lange & Söhne watches. So, if you would like to answer that burning question “how can I pawn my A. Lange & Söhne watch?”, then the fastest way is to come into our store in Blenheim Street, Mayfair. As a trustworthy and knowledgeable pawnbroker, we will make sure you get the best price for your timepiece. For more information on services provided by New Bond Street Pawnbrokers please watch our video here and read about the loan process here.